Although the stereotype of geeks is of a lonely, anti-social type the reality is quite different and the perception is beginning to shift. Geek culture has certainly been attracting more females of the species into the fold, and many couple are bonding over their passions. The bizarre sub-culture of ‘shippers’ (if you’re unfamiliar with the term be thankful) certainly demonstrates the geek interest in seeing romantic relationships between our favorite characters, so in the spirit of Valentine’s Day we’ve got 10 of the best couples in geek culture. What possible started out as a one-off gag on popular sitcom The Big Bang Theory seems to have evolved into one of the driving plot threads on the show. Out of scientific interest and a sense of mischief Howard and Raj sign Sheldon up for an online dating site to find out if there was a possible match for the socially maladjusted and frustrating genius. 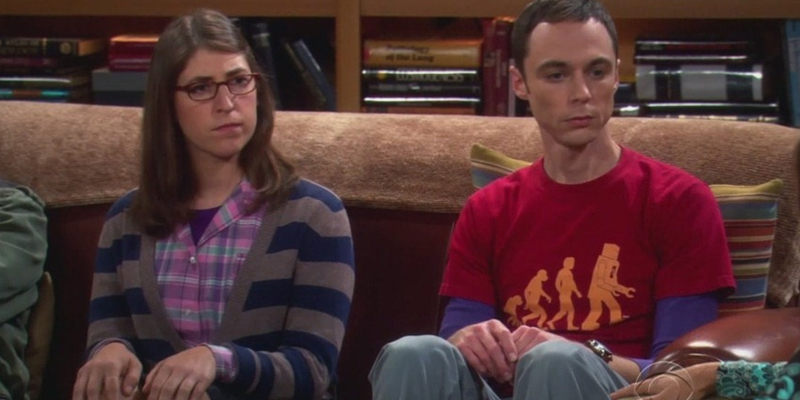 To everyone’s surprise the matching algorithm puts Sheldon together with Amy, who is in many ways his female equivalent. Since meeting they have entered into a relationship of sorts, albiet one that features a legally binding contract. Whilst Sheldon remains introverted Amy feels a strong desire for him and has slowly succeeded in breaking down a few barriers. Although their relationship is, at best, tumultuous, it’s worth noting that they’ve been together through thick and thin for longer than most of us here have been drawing breath. It’s certainly an oddity in pop culture that the woman should be so dominant in the relationship, but that’s part of what makes them fun to watch. 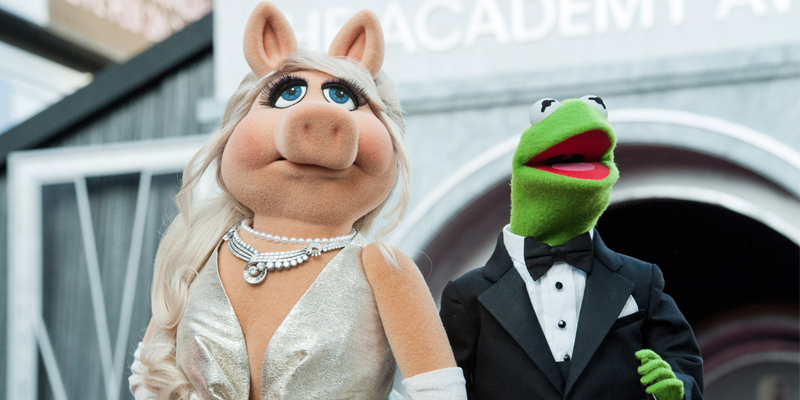 The controlling and jealous Piggy is a celebrity diva while the sometimes meek Kermit is the put-upon producer of their theatre troupe. She pushes him, he loses the plot, they reconcile and it starts all over again. Over the course of the movies they have now been married, separated and now together again and ready for 2014’s sequel. Everyone likes a love story with a bit of magic to it, and it’s hard not to imagine Aragorn and Arwen when talking about classic geek romances. Aragorn is a man of the man, an exiled king whose years of living rough has given him a rugged appearance. Arwen, on the other hand, is an immortal Elvin princess whose people are preparing to leave the world. In spite of their outward appearances and roles in the world they have always been drawn to each other and while Aragorn has reservations about taking her away from where she belongs Arwen willingly sacrifices her immortality for a life alongside Aragorn. From the realm of fantasy to the world of the mundane. Not only are Jim and Pam a realistic and grounded television couple but they just seem like people we’d all want to be friends with. Of all the couples on this list Jim and Pam are the two who everyone really wanted to see have a happy ending. When the series opened Pam was already engaged to Roy who worked in the warehouse, but it was clear everyone that he didn’t appreciate her. In the meantime Jim remained in Pam’s orbit, unwilling to let go of the bond he felt between the them. Turns out he was right to do so, as they are now married and starting a family. In spite of, or possible because, these two are robots people have become very attached to this couple. It’s more than they’re cute little robots…perhaps it’s because they defy their very existence to be together. 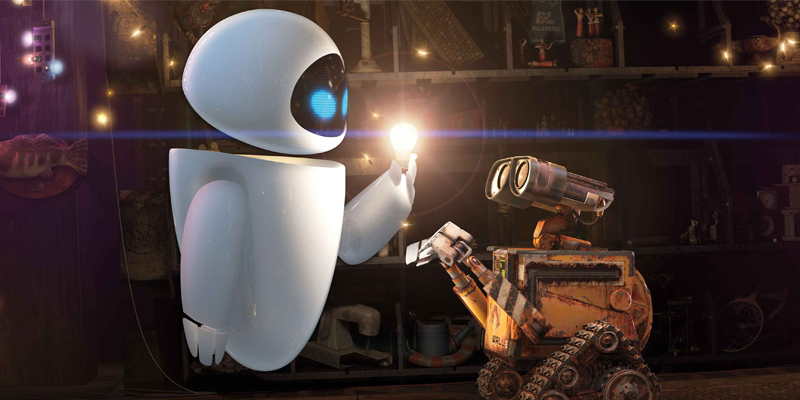 WALL-E is a trash compacting robot who’s spend several lifetimes working alone of Earth has has gone a bit quirky and lonely. When he meets the high-tech EVE he thinks he’s found his true love and surprisingly she comes around to feeling the same way. Breaking their programming and overcoming galactic sized obstacles they do eventually wind up together at the rise of a new era. Just when everyone was getting insistant that Harry and Hermione was going to get together eventually (although they’d shown, no interest in each other whatsoever) things were turned on their head for the girl to wind up with the hero’s best friend while the hero shacked up with the best friend’s girlfriend. Needless to say that Ron and Hermione became a fan-favourite coupling and did represent something quite sweet. Hermione was the bossy bookworm while Ron was the goofy, clumsy and often inconsiderate sod who hated each other on first glance – it seems to be a match made in irony. Again, an odd couple who only make sense in an opposites attract kind of way. Whilst noble Luke is all out trying to save a princess, smuggler Han Solo turns up his nose at the notion of rescuing the upper class. At the promise that she’ll shower him with riches he reluctantly tags along and initially has little patience for the headstrong rebel leader. Over time these two alpha dogs find a kinship that turns into romance, even though they’re both to stubborn to admit it. 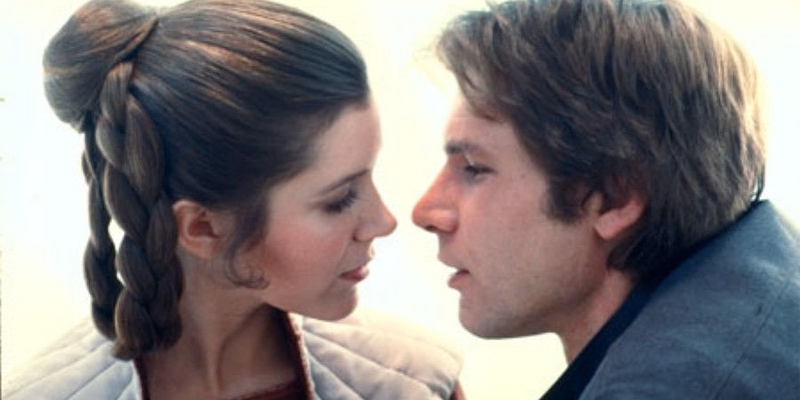 In fact Leia goes as far as making out with her brother to spite Han, which in hindsight may have just confused things. It’s only when they risk seperation by way of carbon freezing that Leia finally breaks and declares her love, which Han takes as the chance to quote memorable lines. The classic couple divided by class, in a poor and rural kinda way. Buttercup lives on a farm and spends her time riding horses while the dashing young farm boy stares at her in a slightly uncomfortable way. This eventually leads her to understand that her loves her and she also loves him. 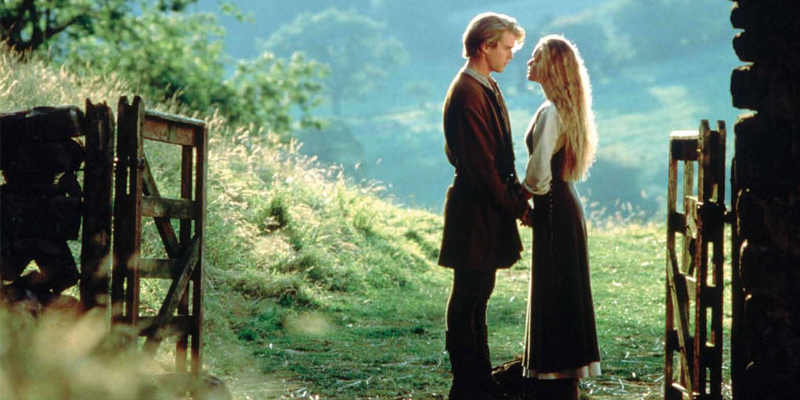 Everything is a fairy tale romance until Westley sails away to seek his fortune and gets murdered by pirates. Buttercup, heart-broken, agrees to marry Prince Humperdink unbeknownst that he plots to murder her in order to spark a way with a neighbouring nation. Westley returns on the scene, now the Dread Pirate Roberts and fights his way through giants, sword fighters, dangerous geniuses, torture, fire swamps, ROUS’s and even death to get her back. Pirates, swashbucklers, giants – this is classic stuff. For Scott Pilgrim the notion of fighting for your love takes on a very literal meaning. When young hipster and slacker Scott meets the girl who’s been haunting his dreams (but only because she was using it as a hyperspace bypass) he falls madly in love. Before they can be together, however, he must do battle with The League of Ramona’s Evil Ex-Boyfriends, seven dangerous individuals who come at him with mystical powers, robots and bass. He must also grow up and try and do right by his own exes, but it’s the high-energy scrapping that sells this love story. 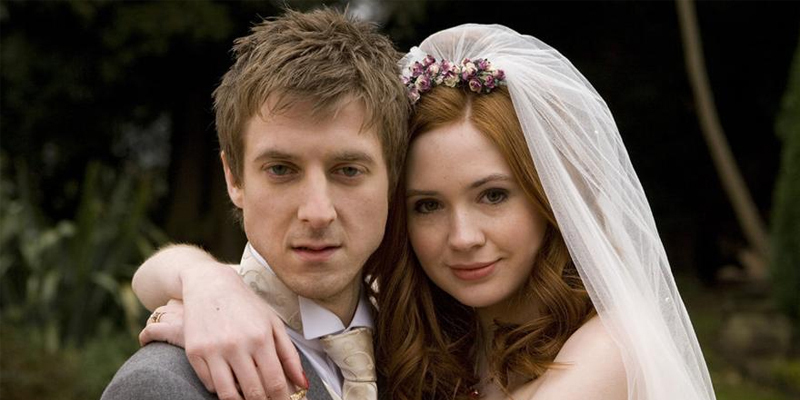 Few fictional love stories carry as strong a punch as the tale of the Ponds, especially as they’re actually the supporting cast to the more famous time travelling Doctor. Amy is undoubtably the star as we meet her as a child who gets left waiting for the Doctor to come back and get her, something that winds up taking years longer than expected and becomes a defining influence in her life. When we rejoin Amy she’s working as a kiss-a-gram and dating the dorky murse Rory. To be honest I expected Rory to be a disposable character who, like Mikey before him, would be left in the dust when the Doctor whisked Amy away for adventures through time and space. How wrong I was. Instead Rory soon joins the journey and before long the two are married. Whilst Amy is stand-offish and blunt Rory is more sensitive soul and while it may seem like he’s but put upon the reality is that he would never leave Amy’s side no matter what madness she rushes headlong into. His dedication gets more than put to the test when he commits to standing guard over Amy’s prison for 2000 years while the modern human civilisation grows around them. Their relationship is put to the test in ways that most people couldn’t imagine. Amy gets trapped in time for 27 years and still Rory doesn’t blink before rescuing her – although the current version is still alive and well. Their only child they will only know as a time-travelling adult woman who is actually older than them. The list of what they went through together is extensive. It came as a shock when their third season with the Doctor debuted on them having separated and were heading towards divorce. This seemed unbelievable after everything that they’ve already battled through together, but it turns out that they’d been facing a terrible human problem, namely that Amy felt guilty over not being able to give Rory the children he wanted. It’s these moments that really sold Amy and Rory as a great pair of characters, especially the recurring conflict saw Rory always left with the feeling he loved Amy much more than she loves him. This was proven substantially wrong when Amy set out to become trapped in time as a prisoner of the Weeping Angels rather than live without him. I swear that this is the only picture I could find. There was some debate in the House as to whether or not these two qualified, since it was always the tension between them that drew viewers with things being significantly less interesting when they did couple up. Being two FBI who specialises in investigating the paranormal certainly gets them some points, and the dynamic between them simply sizzled. Dana Scully was the skeptic, a medically trained agent who searched for the logical explanation behind the mysteries the encounter while Fox Mulder is the man of faith who is quick to take things at face value and is dedicated to finding out the truth behind the aliens. During their weekly outings they would constantly play at trying to get one over the other and prove the other wrong. There were so snarky put-downs and lingering looks that eventually they’d just snap and have at it over an alien autopsy table. What about Zoe & Wash??? They’re off in the black. How do you know us geeks so well?! 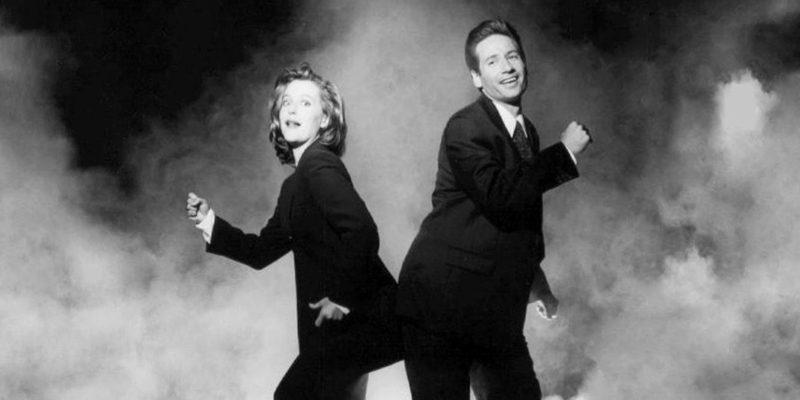 And why did X-files have to get all stupid at the end? There’s a simple reason I know you geeks so well…I’m one of you! 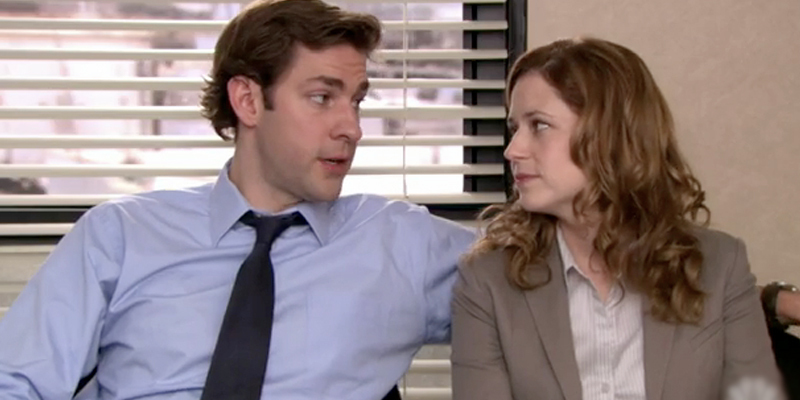 I stopped watching “The Office” a while ago (it’s not the same without Michael Scott), but Jim/Pam were really great. Loved their wedding episode. I was going to write here that Pam and Jim should be top of the list, no question… and then I saw Rory and Amy and realised a better choice had been made. Then I see Mulder and Scully as bonus and don’t know where my allegiences lie. Great list! I would like to offer my services to you as a copy-editor. The number of typos, missed or misused words, and comma abuses in this and most other articles you post is painful to me, especially when your content is so often awesome and fun. People learn from sites like yours, you know, and it would be a shame if they learned, for example, the wrong version of homophones. Please get an editor. Thank you.